...is the project of Prague-based musician, singer, producer and composer Tamara Sofia Shmidt (UA/CZ). Although she studied classical piano, singing and choral conducting, she made her mark in the Czech electronic music scene. Her music is an ethereal mixture of soft vocals, synthesizers and musical experiments. It is a dreamy mix of melancholic downtempo and darkpop - ambient. Tamara’s compositions stand out because of her holistic approach, which contributes to the overall authenticity of her expression. Awali started as a band in Spring 2013 in collaboration with DJ Aitcher Clark. We made official soundtracks for the Prague Cannafest: years 2013, 2014 and 2015. - Quote: "Awali are one of the bright discoveries of this year, at least for anyone who likes electronic music, in this case it's softer, quieter and sophisticated side." - Quote: "Awali‘s debut album Between Significant is such a jewel. It simply gives you shivers, mostly painful ones. Based on a relatively pure concept – a piano and vocals, occasionally accompanied by a cello and distant samples – the twelve tracks push the boundaries of psychological effects a record may have on a listener, evoking strong visual imaginations of dreamy sceneries and encounters that never took place. It’s so powerful the plastic bag of American Beauty would be dying for such a soundtrack." - Quote: "..it's not an ordinary case for the Czech scene, it reminds us about less emphasized modern classics or soberly minimalist electronics, triphop, where occasionally appears delicate voice of Tamara Schmidt." Apr 2015: Awali were opening act for Snow Ghosts at the Prague Festival Euroconnections. 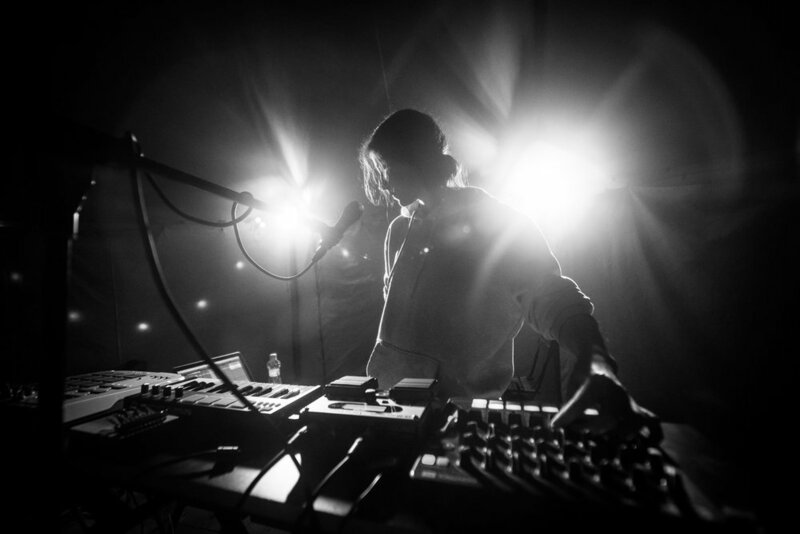 - Quote: "with their mix of electronica, contemporary classical music and dreamy pop they proved to be a right choice as the the support act. No wonder Awali is called one of the biggest names from the smallest category (the alternative music) of the domestic scene." - Quote: "..this way Awali are artfully balancing somewhere between mental nutritious food for intellectuals and pleasant soundtrack for a lazy rainy afternoon.."
- Quote: "Right on first hearing it is musically exceptional project with the global sound. Ambient electronics that will caress. Amazing vocals." Since November 2015 Awali is a solo-project of Tamara Sofia Shmidt.